Pertinent work experience - 3 years minimum in a managerial position – i.e., managing a project or a team, (training sessions are not counted as professional experience). 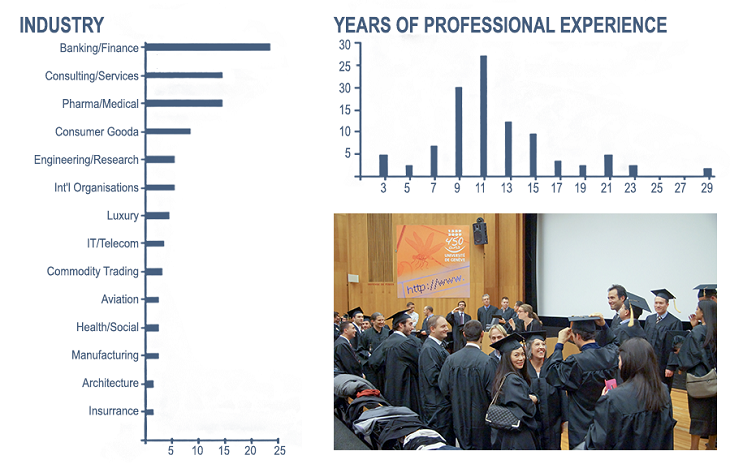 Because of its reputation for excellence, admission to the EMBA Program is highly selective. Potentially qualified candidates will be contacted for an hour interview. Great importance is attributed to the quality of the academic record, personal motivation, and relevance of professional experience. Notification is sent to candidates by email. Mandatory items marked with a * must be downloaded in order to validate the application. The overall cost of the MBA may vary depending on the specialization selected in the 2nd year.